MEBANE, N.C. (AP) — North Carolina's energized and financially flush Democratic Party is casting its get-out-the-vote net this year into areas once ceded to rivals as it strives to wrest the legislature from Republicans and end a long-running battle between lawmakers and the executive branch. The party has its work cut out for it: Although North Carolina has come to be seen as a swing state nationally, its state legislature is as deeply Republican as anywhere in the South, with veto-proof GOP supermajorities in both houses — aided by favorable redistricting — and many seats Democrats never even bothered to contest. For the first time in recent history, Democrats offered candidates for all 170 state seats, echoing a strong push by Democrats across the country to tap into voter dissatisfaction with President Donald Trump's presidency and anger over the confirmation of Supreme Court Justice Brett Kavanaugh. The party is trying to flip nearly two dozen U.S. House seats to regain control of the chamber. Republicans are trying to maintain a slim Senate majority and defend several governors' mansions. In North Carolina, some hope for a large-enough wave to take control of the legislature for the first time since 2011. A more attainable goal would be to end the veto-proof majorities, which would require them to gain four seats in the House or six in the Senate. To gain control of both chambers, they would need to win 16 House and 11 Senate seats. Editors: After decades of losing ground across most of the South, Democrats are finding unexpected energy in the region during the 2018 midterm elections. Even in states traditionally seen as deeply red, the party is finding hope for a resurgence — in local and state races as well as on a national stage. 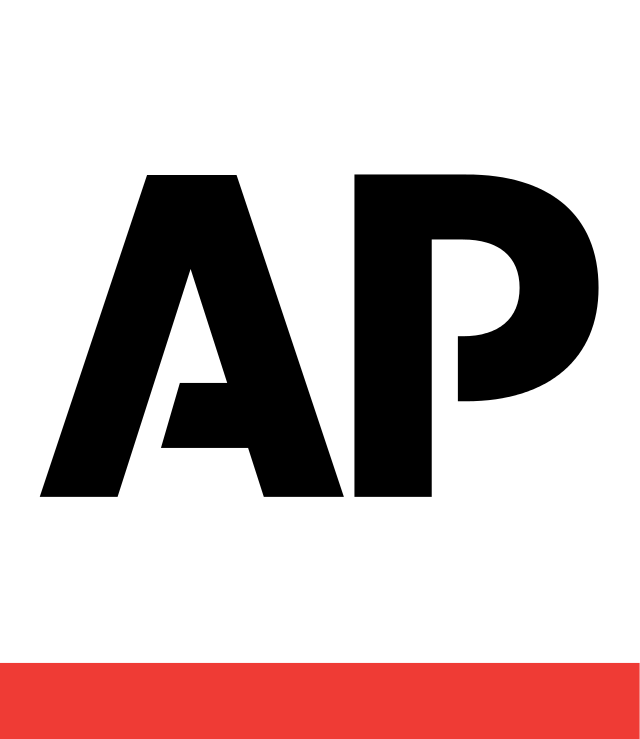 In this four-part series Southern Inroads, The Associated Press looks at a few key areas of Southern states where Democrats are focusing energy as Election Day approaches. Democratic Gov. Roy Cooper, long at odds with Republican majorities who have steadily eroded his power while pushing right-leaning policies, has led the way in the North Carolina Democrats' "Break the Majority" effort. Cooper isn't up for re-election until 2020 and there are no high-profile statewide races on this year's ballot. Political consultant Morgan Jackson said the governor and his fundraising team have raised $7 million for the state Democratic Party to help legislative candidates. He's also raised several hundred thousand dollars for three dozen individual candidates, Jackson said. Time spent on the Hurricane Florence recovery has curbed some of Cooper's in-person fundraising, but his wife filled in for him during an event benefiting House district candidate Erica McAdoo. Her candidacy in Alamance County is reflective of the Democrats' efforts to "expand the map" beyond the traditional swing districts around the capital of Raleigh and the state's largest city of Charlotte. Republicans have held the Alamance County district for most of this decade, and the incumbent, three-term state representative and former Burlington Mayor Stephen Ross, hasn't faced an opponent since 2014. McAdoo spent a recent weekend day in the district, knocking on doors in the working-class suburban subdivision of Mebane (MEB-un), a town along Interstate 85 previously known for textile mills and farms. Since the year 2000, Mebane's population has more than doubled to 15,000, with vacant lots and farmland giving away to outlet malls, hastily built middle-class subdivisions, and newcomers who lack the baggage of the state's previous political tussles. The area now comprises rows of matching-color family homes with manicured lawns, occupied by families who moved in from elsewhere in response to the boom in high-tech and health-based industries between Research Triangle Park and Greensboro. Democrats also are making a push for House and Senate seats held by Republicans in and around coastal Wilmington. Favored by beachgoers and transplanted out-of-state retirees, the region became fixated last year on the presence of a little-studied chemical compound, GenX, in the Cape Fear River, which provides drinking water to many. In campaign ads, Democrats and environmental groups are blaming GOP incumbents for passing budgets that reduced staff in the state environmental department responsible for water quality, and for failing to do enough for the river cleanup. The North Carolina Free Enterprise Foundation, which analyzes state politics for business interests, identified 10 Republican-held seats, including in Ross' district, as being in "emerging suburban swing districts" where Democrats are gaining ground. "They are just growing and changing demographically — period," said foundation Executive Director Jonathan Kappler. Republicans have responded to the Democratic push by offering candidates in nearly all legislative districts and driving get-out-the-vote efforts, but they've lagged behind in fundraising in many key districts. Still, state GOP Executive Director Dallas Woodhouse said party leaders feel "very confident" they will hold "governing majorities" in both chambers and say Republican voters are now energized after Kavanaugh's confirmation. Democrats are "better funded and they're louder, and there's always a natural energy in the first midterms against the party that holds the White House," Woodhouse said. "It's probably true that the Democrats' most ardent supporters are really, really mad, but their votes are only going to count once." GOP incumbents are promoting their agenda of lower taxes, fewer regulations and socially conservative values. In addition to passing laws eroding Cooper's powers, the lawmakers have extended the waiting period to obtain an abortion, restricted bathroom access for transgender people and expanded school-choice options. They've also tried to counter arguments that Republicans have cut funding for public schools and teacher pay, noting that teacher salaries have grown by more than 9 percent while spending on overall K-12 education has increased $800 million over the past two years alone. McAdoo, a first-time candidate, has been talking about public schools, health care and the environment, accusing Ross of failing to expand Medicaid coverage to more of the working poor and spend more on education. McAdoo's campaign said recently the candidate and her volunteers had knocked on 10,000 doors. "We've had to ... make sure we are reaching these folks, because that hasn't been the standard strategy in (the) county," McAdoo said. Ross declined to be interviewed. As volunteers gathered recently to help McAdoo, Democratic activist Elaine Berry reminded them that "we don't just need the people who always vote." "We need the people that need a little persuading. ... A little bit of persuading might be all we need to get them to come out and vote in this midterm election." McAdoo is hoping that her willingness to go door-to-door will motivate people like Arrowhead Estates resident Brad Holloway, who said he hasn't cast a ballot in more than 15 years. "You've actually got me thinking about ... going out and doing this," Holloway told the candidate after she showed up on his doorstep. Find the full series at https://apnews.com/SouthernInroads .